This Monday October 29th 2012 Google was supposed to have a special event in New York in order to announce some new products. Because of safety concerns due to the storm that was headed that way they decided to cancel the event. They did however still use their blog to announce their new products. I'm very excited about these products so lets see if i can talk about them without babbling too much and getting too much into technical details. I've talked plenty of times about my Galaxy Nexus and how I think it's so great. 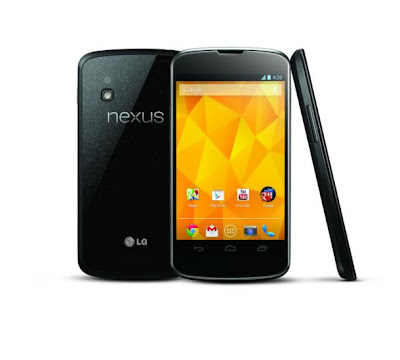 Well this time the new Nexus phone is being made by LG and Google is calling it the Nexus 4. The Nexus 4 has a 4.7 inch high res screen that has almost as many pixels per inch as the iPhone 5 screen, 320 Pixels per Inch on the Nexus 4 VS 326 on the iPhone 5. This phone also has a quad core processor that should be able to compete with any of the flagship phones out there, specially running Android 4.2. It also has 2 Gigs of ram. Some of the Negatives would be the fact that there is no LTE on this phone. Only GSM so you can only use it with AT&T or T-Mobile in the US (or one of the many smaller prepaid services). There is also no MicroSD card on this so you will not be able to expand the memory, very much like the current Galaxy Nexus. It will come in two version, a 8GB version and a 16GB version. I'd like to complain about this but I can't because I don't think I've ever filled up my phones memory, I just don't use it to store much music or movies or anything like that. What really gets me excited about this one the most is the fact that the 8GB version will cost $300 and the 16GB version will cost $350. This is without a contract. Currently if you want to buy a Samsung Galaxy S III or an iPhone 5 off contract you have to pay at least $600. Google is selling you a phone that could very well be better than both of those phones and it's half as much! The Nexus 4 will be Available for Purchase on November 13th. 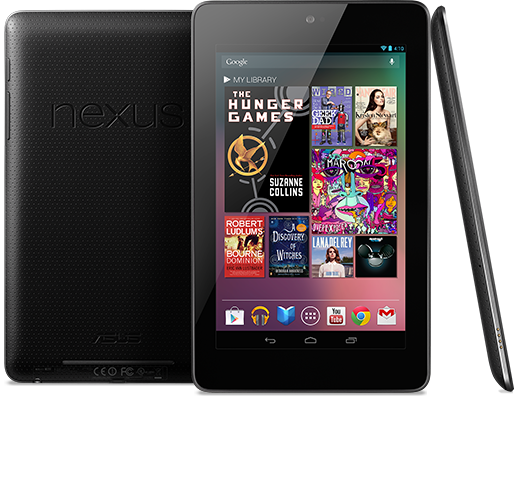 The Nexus 7 is nothing new, it's the 7 inch Nexus Tablet that Google makes with ASUS. When Google first announced the Nexus 7 they were selling a 8GB version for $200 and a 16GB version for $250. Even when Amazon came out with a 16GB Kindle Fire HD for $200 I still felt that the 8GB Nexus was a better deal. Well Google has now made the choice even easier, the 8GB Nexus 7 is now gone and we are left with a 16GB version for $200 and a 32GB version for $250. There is also a 32GB version with HSPA+ connection for $300 that you can hook up with AT&T or T-Mobile. Once again, no LTE, but HSPA+ is really not that bad at all. You could get a Nexus 7 that's always connected for less than a wi-fi only iPad Mini. 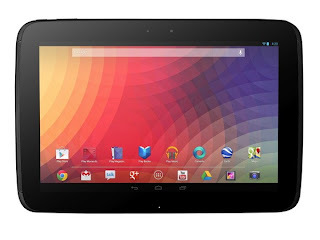 For more of my thoughts about the Nexus 7 please visit My original First look Article. Now if you like the idea of the Nexus 7 but you feel like you really need a larger screen and a better resolution, the new Nexus 10 might be what you are looking for. The Nexus 10 is a 10 inch tablet that Google is making with Samsung. This Tablet will come in a 16GB and a 32GB version but will not come with HSPA+ or any other mobile network support. It also does not contain a MicroSD card slot. It has a DUAL core processor which sounds disappointing but I haven't seen it in action, my Galaxy SIII is a Dual core processor and it works beautifully. What sets this tablet apart from the competition is it's screen. It has a 2560 X 1600 resolution, which is 300 Pixels per inch. The new iPad or the iPad 3 or now iPad 4 or the old new iPad or whatever they are called now has a resolution of 2048 X 1536 which = 264 PPI. So the screen on this thing is even sharper than that of the new iPad. . . .or old new or 4 or 3 or whatever. The prices on this tablet are $400 for the 16GB one and $500 for the 32GB one. Will also be available for purchase on November 13th. So there you have it, Google working with LG, Samsung and Asus to bring us great products at an affordable price. I'm just surprised that there is no Motorola Nexus device, seeing how they OWN Motorola you'd think it would happen... Maybe later. Please Follow me on Twitter and let me know if you have any tech related questions! Today Apple had their press event and announced a bunch of new things. Some of the things they announced were changes that people were waiting for, like the new Macbook Pro 13 inch with a retina display. Some other things were not very impressive like the new Mac Mini. 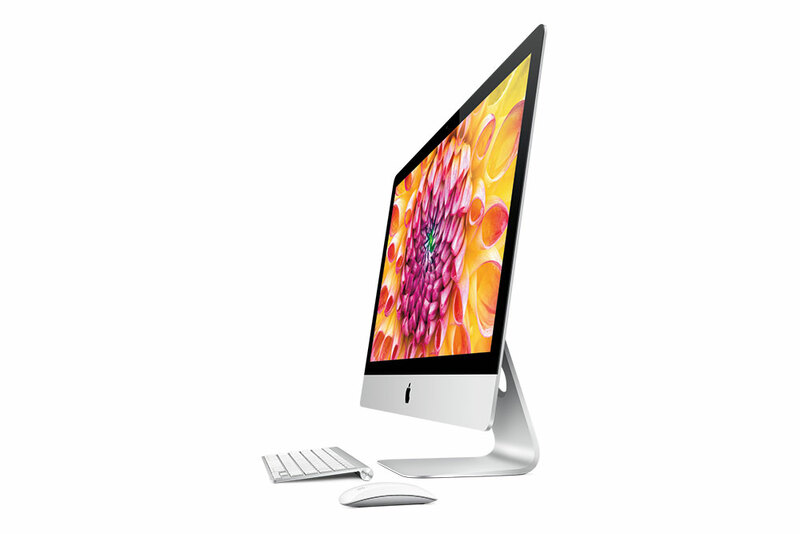 Some things were just kind of cool but useless, like the new iMac with an extremely thin edges. There was also a somewhat updated iPad. They only updated the processor however which makes you wonder if this is what the iPad 3 was supposed to be. The iPad 3 is no longer being sold. Lets go back to the iMac for a second. Pretty? Yes very. Although I must admit when I first saw it I thought the full body was that thin, I couldn't believe it, where would they have added all the components? Well, turns out that only the edges are that thin, the back actually bulges out. However, in order to make it that thin they had to use some special new type of welding technology to make it happen. This is where I have to ask, is this really necessary? I mean, making it this thin and having to find new methods of making it happen simply adds to the price. I could understand it on a laptop, you carry that thing with you, but how thin do you really need your desktop computer to be? 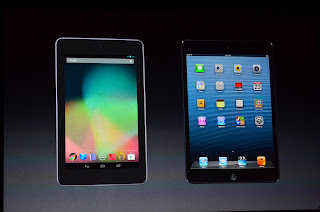 Ok, now lets talk about the main thing that everyone was waiting for from this event, the iPad Mini. What we have here is a 7.9 inch iPad that will run everything a regular iPad can. It is basically a smaller iPad 2. It has the same screen resolution as an iPad 2, it has the same CPU as the iPad 2 as well. It has a better rear camera than the iPad 2 though, if you are into using that. As you may know the main competitor here would the Google Nexus 7 and Apple made sure to try convince everyone about how much better the iPad Mini was compared to the Nexus 7. I'm not going to deny everything they said, it's true, the iPad Mini has a larger screen so it's easier to read things, cuz. . . they are . . . bigger. But I do feel the need to mention a few things that they failed to mention. 1. The Screen is indeed larger on the iPad Mini, but the resolution and pixels per inch are better on the Nexus 7. Trust me, had they made a better screen for the iPad Mini they'd be flashing those numbers all over the place. 2. The Specs on the Nexus 7 are more impressive. 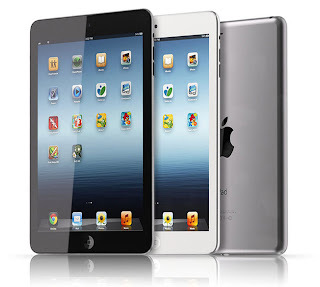 The iPad Mini has an A5 chip inside, which is basically a 1Ghz Dual core processor while the Nexus 7 has a 1.3Ghz Quad Core Nvidia 3 Processor in there. Now to be fair, both Operating systems have very different requirements from the processor. The iPad Mini doesn't have much going on at the same time so it can work just fine with a slower processor, the Nexus 7 has real Multitasking where different applications can be open at the same time and it has to deal with widgets and live updating and all the other things Android can do. 3. The iPad Mini comes in 16GB, 32GB and 64GB. The Nexus 7 so far only comes in 8GB and 16GB. A 16GB iPad Mini will cost you $330 while a 16GB Nexus 7 will cost you $250. That's $80 cheaper. Some people may say it's not fair to compare pricing of a 8GB device to a 16GB device. I say screw it. There is a lot of people out there who just want a device for some light reading, checking web pages, youtube videos, emails, simple stuff. These people don't need a lot of room on their devices. So it's not my fault if Apple doesn't offer a 8GB version. So lets say you ARE looking for just a tablet that you can use for some simple stuff and you have no need of a lot of storage room. In this case you can get the $330 16GB iPad Mini or the $199 8GB Nexus 7. now it's a $130 difference. For Another $80 you could get a second Nexus 7. I will not deny that the iPad has better Tablet apps, I've said that many times. But as Android tablets get more popularity, this will continue to change. But I wont lie, it's upsetting at times. I always use Facebook as an example, the iPad application is so great and the Android one is just horrible. Supposedly Facebook is working on a complete change of the app, but I don't know if that includes a Tablet mode or not. I have to say the people I do feel kind of bad for are those who recently bought an iPod Touch for $300 because they just wanted to do simple things online but couldn't afford the iPad. For $30 more they could have just bought the iPad Mini. I honestly do hope Apple allows these people to exchange.